Good news from Shriek Central. The band’s still diligently overseeing the reissue program of their unfairly neglected back catalog. It continues apace in just eight days with the imminent arrival of their first release, “Tench;” the EP from 1982 that heralded this New Wave “supergroup.” Better still, they are no longer operating the business from their Swindon rumpus room. The band have now partnered with DIY industry pros Burning Shed to distribute the end product. This is good since Burning Shed are an artist collective that are trying to do right by the artists they partner with. All physical Shriekback products are now distributed through the band’s Burning Shed storefront. While the discrete CDs of “Care” and “Jam Science” were a long time coming, they took little time in selling out the entire press run from the store page at Shriekback.com. With Burning Shed handling the distro and maybe even manufacturing, there should be a stronger connect between supply and demand. While “Tench” will be the first release, The Shrieks claim that “Care” and “Jam Science” may join “Tench” as well as all future releases in the Shed store “all things being well.” All physical product currently in stock is available there now. “Tench” was a strong start for the moody band of art rockers. Their funk/danse/trance/dub credentials were well heralded by the “Sexthinkone” single. While that track appears here, the 12” remix on the A-side, as well as the B-side Disc O’Dell remix of “Here Comes My Hand [Clap].” are m.i.a. So this remaster was not strictly canonical. But as this was fairly bursting with bonus material, what did they see fit to include? Tracks seven through ten are completely new to the world and have not previously been issued. 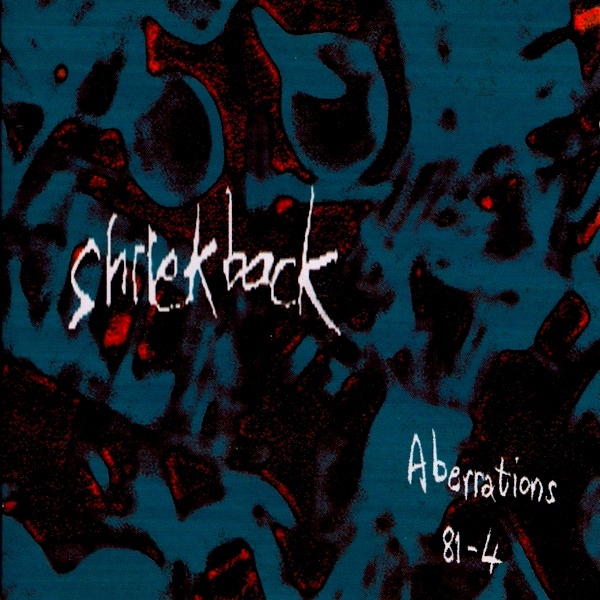 Tracks eleven through fifteen were previously released on the blink-and-you-missed-it collection “Aberrations 81-84” collection of rarities. Barry Andrews had considered re-issuing the “Aberrations” collection again, but I guess that the thought was to mate the temporally relevant tracks with the commensurate album reissue. Finally, the last bonus track is a remix of “Accretions” that I certainly hope was the “Monstrous Dance Mix” clocking in at 6:25 on the fine 12″ record at right. As far as I know, there are no other mixes of “Accretions” skulking around in the shadows. I’m kind of miffed that none of the other two remixes from that record have resurfaced in digital, physical form. One of these days… [thinking of ClickRepair here…] and I’ll have to gather up the Shriekback loose parts into a coherent whole. Disc two is a vintage 1983 concert by the band during the “Care” US tour. If ten tracks [which include the encore] seem scant by today’s standards, remember that in the early 80s, bands with 1-2 releases to their credit would tour the country in a van [probably with Miles Copeland somehow profiting] and find themselves booked into ratty clubs in cities they never imagined visiting where a 40 minute set was all part of the night’s unfolding melodrama; possibly with multiple acts vying for stage time in the larger metropoli. Until then, the reissue program the band have undertaken in concert with their forward progress with a new album I’ve yet to hear, will insure that I will be tithing directly to the artistes directly for the immediate future. “Tench” gets shipped on August 21st, and is currently in preorder on the Burning Shed store. 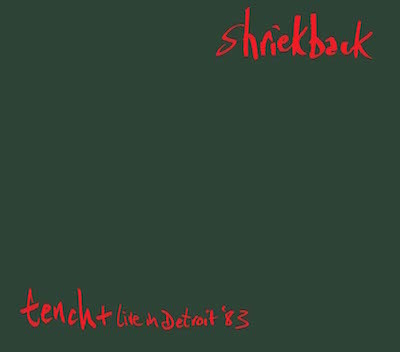 All orders of any Shriekback titles from there before September 1st will see the new dub album “Shriekback Versus Thee Caretakers” added gratis, to their order. Now how much would you pay? This entry was posted in Core Collection, Want List and tagged 1982, 2015, DLX RM, Shriekback. Bookmark the permalink. Nice! I just picked up the original issue vinyl of Tench a few weeks ago at CD Cellar in Falls Church, VA. Terrific disc! I’ve long been a fan and heard Tench was their dense early stuff – nothing could be further from the truth to my ears. Sure, it’s not as developed as Care, but it felt right at home. By the way, I’ll continue to say how it’s uncanny how your musical choices sync up with the deepest recesses of mine. Carmel another of my faves, and yet I know no one else who has ever even heard of her… I mentioned Carmel on a Jazz Vinyl group the other day, and they thought I meant Camel. Sigh. I posted your NWOBJP post to educate the heathen. Thanks for spreading the NWOBJP posting further afield! The more the concept gets out there, the greater its chances become of becoming critical canon. They sneered at my outlandish theories at the Sorbonne, but I’ll have the last laugh… ha, ha, ha [cough – wheeze] … ha, HA! The hookup with Burning Shed is great news! I think some action on purchasing Tench will seal a positive fate for Care and Jam Science finding their way on the available roster! 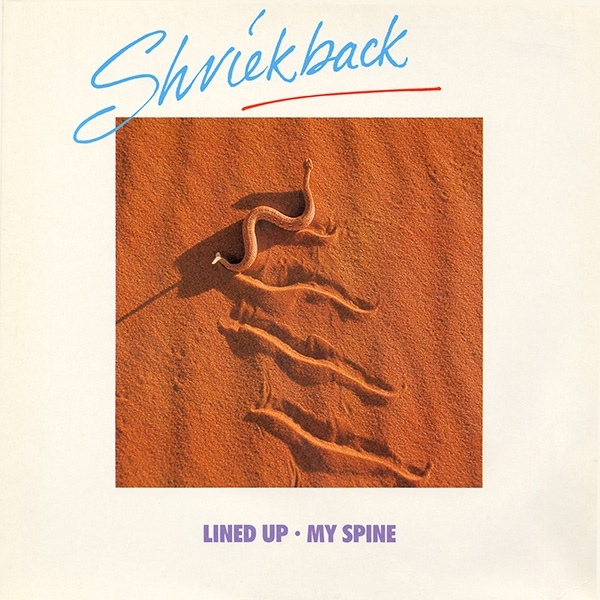 Thank you for the heads up on the Shriekback releases–each time I read it here, I use the links to preorder the discs. In fact, I’m listening to the Tench remaster right now! Jon – You’re welcome. You scooped me on that one! But with Ron visiting this month and vacation next month, my budget was constrained.